Detached Villa + log cabin + pool. 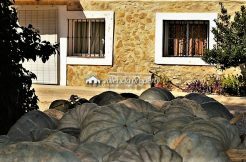 Located in the vicinity of Llanera, town of La Costera región, very close to Xàtiva. 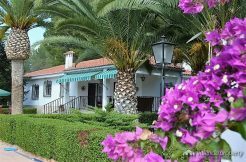 It is on the top of a hill, above the town, with wonderful views of the landscape towards the Southeast, where Xàtiva and its castle are located. Llanera, although it is a small town, offers all kinds of services and has all kinds of shops that allow day-to-day shopping. Very well connected by road, since it has a connection to the A-7, less than 5 minutes. From there it is easy to reach, in a short time, any of the provincial capitals of the Valencian Community that have an airport: Valencia and Alicante. The connections by train are guaranteed from Xàtiva, whose station is only 10 minutes by car. Plot of 3,802 m² of surface and 345 m² built. The access is totally paved and to the village there is a short distance of 100 m. From the main entrance gate to the door of the house there are 80 m, which are crossed through a path lined by beautiful palm trees that form an artificial shadow tunnel until the end of the route. There are open spaces with gardens of natural grass and two main constructions, in addition to other auxiliaries: the house, the log cabin, the independent garage and a dog kennel. The pool (with filter) is oriented to the east of the plot. It is very private, and the sun shines on it throughout the day. It has a small terrace from which you can enjoy the sun and especially the landscape at the same time. The Villa, of two heights (ground floor and 1st floor), has on the ground floor: 2 bedrooms, and a toilet in a separate space, as if it were a small studio. On the first floor there are 3 bedrooms, 1 family dining room with fireplace (27 m²), kitchen with service door that leads to the back of the house (where the barbecue and a first terrace is located), a sitting room (smaller and more cozy), a family bathroom with bathtub, and a glass canopy, as an anteroom to the hall, very bright and pleasantly warm in the winter months. In total the useful area of the house is about, not negligible, 140 m². Enough to make it a home in which to live all year. The log cabin, is located, to the left of the central road, just beyond the main gate, on a level above. Outside, before climbing the access ladder, there is a shaded lawn area, with a small table and three stone benches and a wooden bench. The interior is wider than we could initially imagine from the outside as it has 2 bedrooms, a living room (25 m²) and an additional bathroom. It is the perfect property, especially for those who, even preferring to live independently in a villa, do not want to dispense with the advantage of being within walking distance of the town, thus avoiding having to take the car for everything. Unique setting and complete privacy. 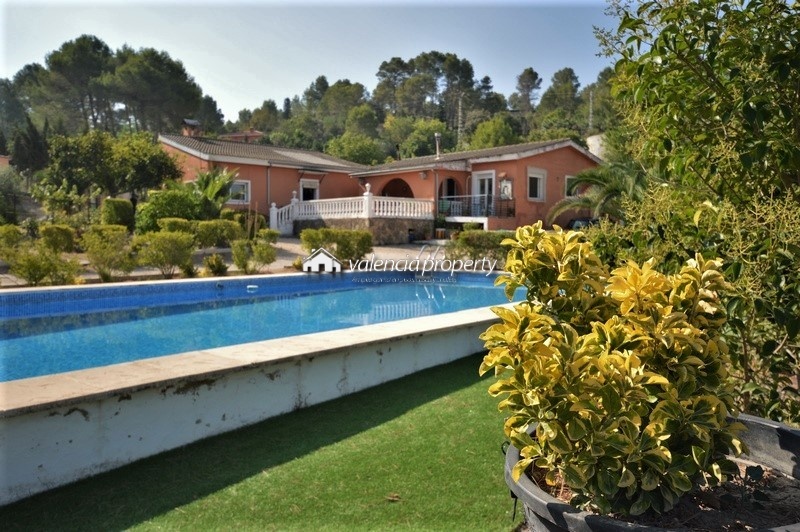 5 bedrooms Villa, with pool and garage, near Xativa. 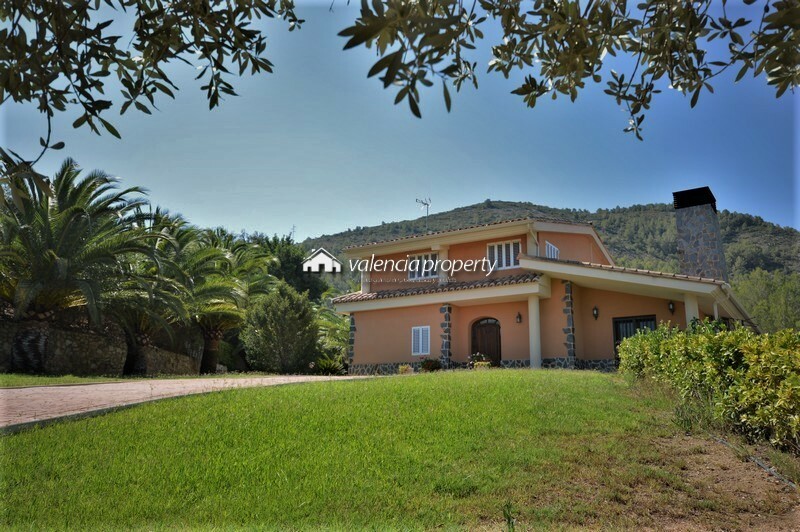 Detached villa in Xàtiva, 4 bedrooms, pool and barbecue.